Why should I go to MASTER OF QI? Because it’s amazing (and so are you). And because seasoned Qigong practitioners and first-timers alike can learn new ways to thrive. Qigong goes beyond movements and meditation. For thousands of years (up till the last century!) it was shrouded in secrecy. Not anymore! Whether you are new to Qigong or are an experienced practitioner, Master of Qi is the place to deepen your practice and your connection with yourself. One of the best things about coming to Master of Qi is getting to meet and bond with like-minded people. Like they say, "birds of a feather flock together"! Get inspired by each other, network, and learn how other people apply Spring Forest Qigong in their lives! With intensive Qigong practice during this 4-day annual conference, you can expect an elevated energy vibration within yourself. A higher vibration produces higher internal power, which is just what you need to stay in that higher vibration. It's like yin and yang: you can't have one without the other! Every day, Master Chunyi Lin (the founder of Spring Forest Qigong) will be sharing his newest insights from a lifelong study of Qi and universal energy. In Master of Qi 2019, Master Lin will be speaking about "The Importance of Karma in Healing and Spiritual Growth." Breakout sessions in three tracks: 1) Advanced Healing Techniques for those who want to advance in their healing ability; 2) Professional/Community Building for those who want to build their own business or community; 3) Personal Development for those who are seeking to enrich their inner lives. This big dinner banquet helps everyone open their hearts to each other even more. Spring Forest Qigong appreciates our community, so... dinner's on us! Join us for this gratitude dinner and a fun evening together! This is the place to find the most Qigong Masters under one roof! And with morning Qigong movements, daily meditation practice, and Qi~breaks at every break, you will be doing Qigong all day long. Master of Qi is your best opportunity to step into a lifestyle of truly Qi~full Living! Followed by the big dinner banquet are... photo opportunities! Get ready to S.M.I.L.E.! We will have a photographer on-site to take a photo for you, your new and old friends, and with Master Lin. These will be ready for you to download after the event! If you haven't experienced Master Lin's signature Lotus Flower Healing Meditation, get ready for a uniquely powerful energy current. Incredible healing and dreams are within reach. This group healing uses the collective consciousness of everyone at the event and sends it to the world. It's like the balance of yin and yang: send out a beautiful energetic thought, and surely it comes back to you. Expect free one-on-one healing sessions from volunteer healers on the evening of Day 1. Receive group healing from Spring Forest Qigong Healers. Whether you are building your healing portfolio for your Qigong certification, you already are a Certified Healer, or you JUST want to give your service, you can sign up to be a healer at this healing evening. Paid healing appointments with SFQ staff healers are also available! Have technical questions about SFQ online course access or downloads? Maybe you need to know more about our services and products? Questions about your Qigong practice? Our dedicated staff can help you on-site with technical issues, such as downloads, access to your membership benefits, and access to your online courses. They can even answer practice questions, like, "How do I practice energy breathing correctly?" Why knives, needles, or pills cannot cure diseases caused by Karma? How do you know that you have karma? How do you know that your negative karma is already clear? What do we do to clear and transform negative karma? What do we do to create more positive karma? Understand the universal moral banking system of Karma, and how to use this system for healing and spiritual growth. The energy of the environment we live in powerfully affects our body and mind at every moment. Every land and each home has its own, unique energy. What makes the energy of lands and homes unique? There are so many things, but they include: the formation of the land, such as the shape of hills, lakes, rivers, oceans, etc. ; the shape of the house; the natural energy-setting of the land, such as the minerals in the earth, underground rivers, the formation of the rocks, etc. ; the history of the land and house, and of who has been there and what they have done. Why is the energy in the land or a home important? How do we recognize land energy that is supportive, and how do we protect ourselves from energy that is invasive? The energy of the environment we live in powerfully affects our body and mind at every moment. Every land and each home has its own, unique energy. What makes the energy of lands and homes unique? There are so many things, but they include: the formation of the land, such as the shape of hills, lakes, rivers, oceans, etc. ; the shape of the house; the natural energy-setting of the land, such as the minerals in the earth, underground rivers, the formation of rocks, etc. ; the history of the land and house, and of who has been there and what they have done. Why is the energy in the land or a home important? How do we recognize land energy that is supportive, and how do we protect ourselves from energy that is invasive? How do we heal the energy of land and home? Master Chunyi Lin will share his specific and advanced Qigong healing techniques with you in this Master of Qi pre-conference class. Master Lin usually only teaches these advanced Qigong healing techniques in his Spring Forest Qigong Level 4 Wisdom Healing Retreat; here, he will be sharing even more detailed techniques and stories with attendees, too! Offered by Energy Healing International (a MN state-licensed private school), the Certified Trainer class is designed to provide training to Spring Forest Qigong practitioners who aspire to work as a Qigong teacher. This is a 2-day program followed immediately by Master of Qi 2019. You are qualified to apply for this class if you are a Certified Practice Group Leader and have taken Spring Forest Qigong Level 3 for Advanced Healing and Energy Development. This training program takes place at the Spring Forest Qigong Healing Center, April 29-30. To learn more or register, please click below. A transformational evening of Qigong movements, meditation, and energy. Every cell in your body, every thought in your mind, every emotion you have, and every action you choose to take is vibrating at a certain frequency... and you can change that vibration. In this evening talk, Master Chunyi Lin will share his insights on using Qigong to cultivate your inner power. He will guide you and practice powerful Qigong movements and meditations with you, so you can really feel the energy. Join us for this evening and find inspiration and transformation. Experience how balanced Qi in the body can help you unlock your healing intelligence - by using this energy as medicine to help yourself. With Spring Forest Qigong, you can change the vibration of your energy to be Happier, Healthier, more Positive, more Creative, more Joyful and more Helpful... to yourself and to others. Glenn Tobey works as a Psychotherapist in private practice in Duluth, Minnesota. He has been designated a Qigong Master by Master Chunyi Lin. He has had a lifetime interest in outreach in many different forms. He considers himself blessed to be married to Katrina, and how she goes about her unconditional loving in different forms. Terry Leers has been practicing Spring Forest Qigong for five years. He is a Certified Practice Group Leader and a Level 1 Trainer. In 2018, Terry was named one of Spring Forest Qigong's Trainer of the Year. Yvette Falconer is a Spring Forest Qigong Certified Instructor, Master Healer and Level 5 practitioner. The words of Gandhi and Master Chunyi Lin : “Love is the most powerful force in the Universe” and “A Healer in every family and a world without pain” power Yvette’s heart-centred action in the world. Yvette’s passion is to empower others to discover their innate healing abilities and to find more peace, love, joy and vitality in their lives through simple Qigong exercises and the practice of love in action through compassion, forgiveness and loving kindness. She shares this passion with her community through teaching, leading practice groups, and giving individual energy healing treatments employing Qigong and Qi~ssage. Yvette holds a Bachelor of Communications and Culture degree and has been a contractor for Wellspring Calgary for 5 years, a Centre that provides free programs to Cancer Patients and their family, with a mission to ensure that "no one has to face cancer alone". She also subs for The Harvard Match Study Research Project. Yvette's inspiration comes from her practice, her family, her students, her SFQ family, continued study, Nature and the Universe. Misa is a Certified Spring Forest Qigong Healer/Instructor/Level 1 Trainer/Practice Group Leader, certified by SFQ and the Energy Healing International. She was awarded “Certified Trainer Of The Year” in 2018. In Wisconsin where she resides and where SFQ is not known YET, she offers practice group, SFQ classes with love and enthusiasm, but she does not stop there: she has been showing up in various professional meetings and Health & Wellness related fairs to spread SFQ and Master Lin's vision. She speaks about the simplicity and the effectiveness of SFQ and invites people to her Level1, 2 and 3 and beyond. She also volunteers to offer opportunities for Wellness professionals to experience SFQ so that they can consider SFQ as a powerful tool to incorporate into their practices. She emphasizes that this Qigong is not their competitor but can be used for their life enrichment and can be a wonderful addition to their own practices. Jerry Wellik has studied with Master Lin since 2000. He was named SFQ Master in May 2015. Jerry leads and co-leads practice groups in the St. Cloud/Clearwater areas including 2 groups at St. Cloud State University and incorporates SFQ in his personal and professional life. Melanie Anderson is a graduate of Spanish Education from Michigan State University and completed her Master's Degree at Georgetown University in Spanish Linguistics while serving as a Teacher's Assistant. She is a Qigong Instructor, Certified Practice Group Leader and Master Healer. She is also an International Certified Hypnotherapist with ICBCH and IMDHA. Melanie has an interest in empowering people with self-health and happiness. Nancy is a retired Spanish teacher who lives on a farm in central Illinois. She and her husband have planted almost 100,000 trees to help restore the land and provide habitat for wildlife. She earned the degrees of BA, MA, PhD in another lifetime and in different dimensions. She is a full-time grandmother, mother, wife, friend, and community volunteer. She has been a Spring Forest Qigong addict for over ten years with no sign of moving beyond this condition. She has thrived being a practice group leader since 2008 and a certified instructor from 2010-2018. She is currently a certified trainer. In addition to Spring Forest Qigong Nancy is a student of Guiding Qi with Master Jim Nance, a dream explorer with Robert Moss, and a certified aromatherapist. Ann has practiced Spring Forest Qigong for many years and especially fell in love with Qi~ssage when Master Lin gave it to the SFQ familly. She has found it to be well accepted in the workplace and has provided Qi~ssage for many workplaces and their employees. Istvan Cserven has been studying Spring Forest Qigong for 15 years. During that time he has attained the status of level 4 practitioner. Over his many years as a teacher and coach he has gained extensive experience working with people of all ages and backgrounds. Through the Healing Retreats and trainings with Master Lin, Istvan has developed a clear understanding of how Spring Forest Qigong applies to everyday life. Istvan’s primary focus in teaching is the flow of energy through the body; “Just feel IT” as Master Lin says! Whether working with school kids, teaching dance, or instructing Qigong, his goal is to help people improve all aspects of their lives. I wear many hats... parent of 6 children, grandparent, healing arts practitioner, certified educator of over 28 years, and presenter of brain based educational workshops for over 20 years, specifically training in brain neuroplasticity. As these interests overlap, I am able to share the how and why energy works within us, as individuals, in the classroom, in any setting. The basis is for optimal learning and performance with diminished stress for all. My healing arts experience began after 3 1/2 years of medical challenges and "everything else failed," then only Spring Forest Qi Gong healed me. I thirsted to learn more and it now includes over 14 years of learning with Spring Forest Qi Gong, angel therapist, reiki master, DEEM, IET, gemstone therapy, meridian clearing, and chakra balancing. The result is a balanced body, mind, and spirit. My technique is non-touching, fully clothed, and totally relaxing while I do all the work of gently removing energy blockages to allow your body's energy to flow. These sessions can be in any setting. The modality is for any age and for any ailment or discomfort. For me, a session with a client feels like "moving prayer," and empowers the individual (senior or child) with tools to keep their energy flowing. Practicing RN and Mental Health Counselor in drug and alcohol detox and treatment programs beginning 1992. Introduced SFQ into hospital-based program 2004. Continue to offer SFQ instruction and practice groups since retirement in 2008. Utilized alternative health modalities while working in hospital-based programs and teaching nursing prior to 1992. Liz has been practicing Spring Forest Qigong since 2008. She is a Certified Practice Leader, Certified Trainer, and Certified Healer, offering practice groups, healing sessions, Level 1 classes, and information sessions at Peaceful Heart Qigong, in Clearwater, MN. One of her favorite things is getting to volunteer for the monthly open meetings held at the Spring Forest Healing Center. Don't just take our word for it - experience it for yourself! Here are some reviews from our past attendees! The Conference is an invaluable event to connect with like-minded people to share ideas and thoughts. The friendships made are fast tracked and you feel as though you have known these people for a lifetime even though you just met. The speakers and presenters are unparalleled and having access to so many in a few days is an effective way to get all their goodness quickly. Spring Forest Qigong Conference is a huge dose of necessary BRAIN FOOD & HEART SOUP! The time I spend with my fellow like-minded individuals during this conference fills my heart with gratitude and opens my mind to new insights and much needed "ahas". My life and business expands, shifts and prospers because I chose to SHOW UP. Not only is it a place to focus on my own healing, but also on my life-long personal development journey! Thank you! I didn't know quite what to expect coming to the conference as I am fairly new to Spring Forest Qigong. It far exceeded my expectations and has dramatically changed how I see myself and my life. I am thrilled to be associated with so many powerful, influential and caring people. I am excited to take what I have learned and to keep learning, so that I can take my healing journey to the next level; helping more people and becoming a successful and sought after expert in my healing practice. Group rate guestrooms reserved for Spring Forest Qigong Conference attendees are limited. Please reserve your room early to get the best savings! 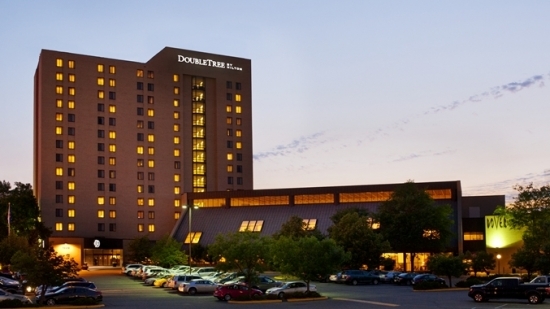 A 1-minute drive from Interstate 394, this classic hotel is next to the Shops at West End mall, and a 19-minute drive from both the Mall of America and Minneapolis-St Paul Airport. Flat-screen TVs and free WiFi are offered in each room, as well as custom-designed beds. Executive rooms provide access to the Executive Lounge's free breakfast (Mon-Fri), and suites offer sitting areas with pull-out sofas. There's an all-day casual restaurant and bar, plus a 24/7 snack and beverage store. Other amenities include a 24/7 fitness center, an indoor pool and whirlpool tub, as well as 17 meeting rooms and a free area shuttle (weekdays). Copyright © 2019 Spring Forest Qigong. All Rights Reserved.